Andrew has been delivering equine-facilitated learning (EFL) programmes since 2002, working initially with corporate clients, and more recently also with young people identified as being at risk of becoming NEET (not in education, employment or training). He is founder and director of LeadChange, a leading provider of ‘Courses with Horses’ to the corporate marketplace, and co-founder and a director of HorseHeard. Andrew is passionate about the benefits of experiential learning with horses, having seen so many people get life-changing insights on LeadChange and HorseHeard programmes. Prior to working in EFL Andrew had a successful business career running publishing businesses in challenging markets. His approach to developing high-performing emotionally intelligent leaders informs his work with HorseHeard clients – working with them to develop vision, energy, focus, self-confidence, self-belief, and effective communication skills. 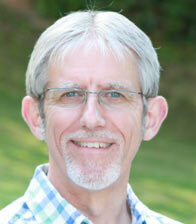 Andrew is an NLP Master Practitioner with an MBA. He is trained in coaching, EQ mapping and 360° appraisal.